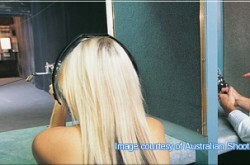 Australian Shooting Academy has been operating for 17 years with in excess of 375,000 satisfied customers. 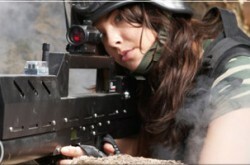 Participate in real live shooting in an air conditioned indoor shooting range. They offer pistols, rifles and shotgun shooting in a safe fully supervised shooting range in the heart of Surfers Paradise. No licence or previous experience is required so get the adrenalin pumping in Australia’s safest action sport available to all age groups. Great for Conference groups, social clubs, teambuilding or just enjoying yourself. It is safe, fun and exciting. 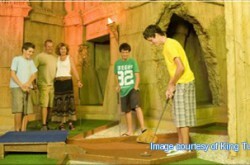 The adventure of being part of a simulated battle now can be experienced at “Laser Skirmish” at Thunderbird Park on the Gold Coast, Australia. 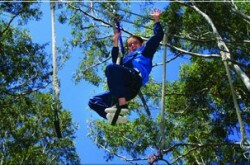 Thunderbird Park has created a one of a kind Gold Coast hinterland attraction with its unique combat entertainment. The battlefield is quite authentic being set in the tropical jungle and has been inspired by the infamous Kokoda Trail.